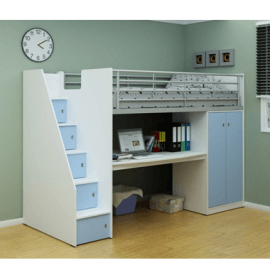 Bunk Bed Frames are a great choice for people who value funcionality and space saving solutions. 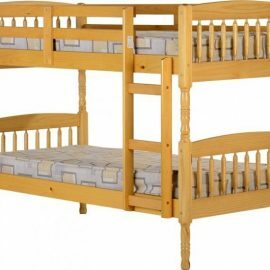 Not to mention, Bunk Bed Frames are a great novelty piece of furniture for the little ones in your life. 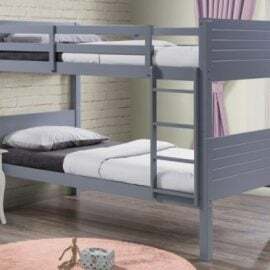 At Bigmickey.ie we have a range of Bunk Bed Frames in a variety of different styles and sizes. 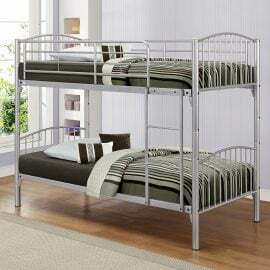 From single to triple Bunk Bed Frames, in wooden, metal or fabric, Bigmickey.ie has something for you. 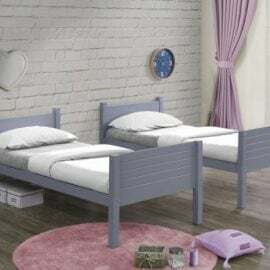 The Birlea Corfu Bunk Bed neatly separates into two single beds, and looks great with its slick metallic finish. With an epoxy powder coated paint finish and beech coloured rubberwood post caps, this frame is available in silver. The ladder can be positioned in a choice of two locations to provide ultimate flexibility. 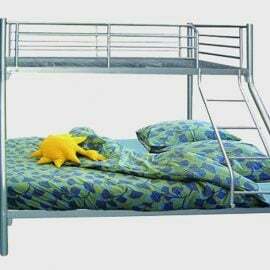 Steel mesh bases allow for air circulation beneath the mattresses. Maximum mattress height is 200mm. The Corfu frame is suitable for children only. The maximum weight load for each frame is 85 kg. 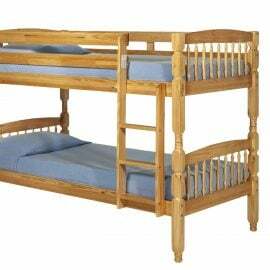 Note: It is advised, the top bunk are not suitable for children under 6 years old.